Heck yes, a knuckle ring with the "Bazinga!" quip on it! The Big Bang Theory Bazinga! 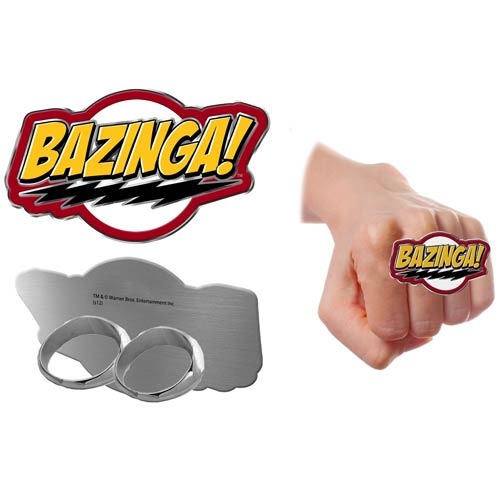 Knuckle Ring with Dr. Sheldon Cooper's famous "Bazinga!" line is great. Not only does it look awesome, but every time that you burn someone like Sheldon does, then you can slap this bad boy out and yell, "Bazinga!" Measures about 2 1/2-inches long.